Around the Camp: Succession Planning / Wool Declaration / WoolPoll / BestWool BestLamb Conferance. National Wool Declaration – do you do yours? WoolPoll – have your say! A re you part of a multi-generational business? Have you started your succession plan? Meridian Agriculture recently published 16 case studies from red meat producers in Australia. You are now able to read what these families, with the benefit of hindsight, realise what they did right and potentially more importantly, what they could do better. You then have the opportunity to take these lessons and apply them to your own situation. The case studies include a wide variety of decisions, actions, attitudes, business and family structures, this means that everyone has the chance to learn something. These case studies are real life examples and have a wide variety of outcomes. The case studies can be viewed here. If you are interested in succession planning and would like financial assistance please consider the Farm Management Grant currently offered by Queensland Rural and Industry Development Authority (QRIDA). This scheme will close to applications 30 June 2019, for more information please click here. 2. National Wool Declaration – do you do yours? The National Wool Declaration (NWD) is an important document that allows you, woolgrowers, to demonstrate your commitment to best-practice animal welfare on your property. While the declaration is voluntary, it is highly recommended as it allows you to record your animal welfare practices and the dark and medullated fibre risk and then pass this information along to the wool buyers, processors, manufacturers and retailers. The information recorded in this document provides transparency to the wool supply chain about management practices in the Australian sheep industry and is backed by a strong integrity program. For more information and to view the current version of the National Wool Declaration, click here. 3. WoolPoll – have your say! 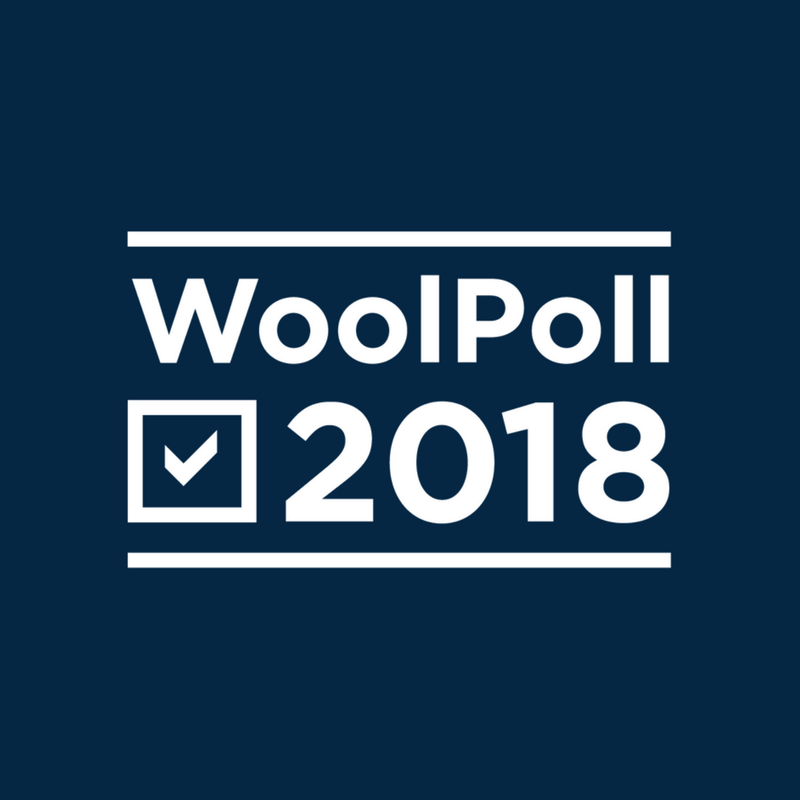 WoolPoll voting opens 17 September and closes 2 November 2018. Anna Speer – Auctions Plus. Challenges farmers to take on change and new technologies, the development of AuctionsPlus and her keys for success. Gundy and Lisa Anderson – Bog Roy Station New Zealand. Turning an ‘unviable’ farm into a profitable one whilst also addressing increasing environmental and social requirements of farming in New Zealand. Troy and Nettie Fischer – South Australia. The loss of their stock and pastures in a devastating bushfire and their subsequent recovery and rebuild. Robert Herrmann – Mecardo. Review of the current market conditions and provide insights into challenges that farmers may face to maintain profitability. To view these and other presentations click here. 25 September Breed and Feed day, Yaraka by DAF. To download and view the flyer click here or for more information contact Jane Tincknell on 0472 877 271 or email jane.tincknell@daf.qld.gov.au. 26 September Breed and Feed day, Barcaldine by DAF. To download and view the flyer click here or for more information contact Jane Tincknell on 0472 877 271 or email jane.tincknell@daf.qld.gov.au. 2 October On farm biosecurity tips to reduce your outbreak risk Webinar. By Teys and DAF. For more information and to register click here. 9 October The Long Paddock website: what’s new, and its all free! Webinar, FutureBeef. For more information and to register click here. 25 October, AgForce Sheep and Wool AGM, Roma by AgForce. For more information contact your local AgForce representative. 25 October, AgForce Cattle AGM, Roma by AgForce. For more information contact your local AgForce representative. 26 October Demystify NLIS with tips on how to use the database Webinar. By Teys and DAF. For more information and to register click here. 14 November Grazing Fundamentals EDGE, Barcaldine by DAF. For more information contact Jane Tincknell on 0472 877 271 or email jane.tincknell@daf.qld.gov.au. 22 November Grazing Fundamentals EDGE, Hughenden by DAF. For more information contact Jane Tincknell on 0472 877 271 or email jane.tincknell@daf.qld.gov.au. 29 November Grazing Fundamentals EDGE, McKinlay by DAF. For more information contact Jane Tincknell on 0472 877 271 or email jane.tincknell@daf.qld.gov.au. FlockTalk August 2018 – making the most of EIDs.